Often people believe that the dried apricots they find in the local store is all that this fruit has to offer... until they taste naturally dried Sweetglow® Apricots from Meduri World Delights. 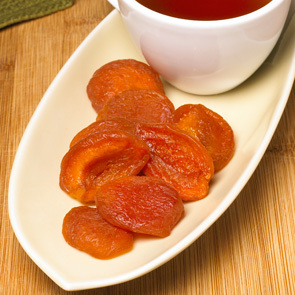 We have searched the fertile orchards of California before discovering these delicious apricots. 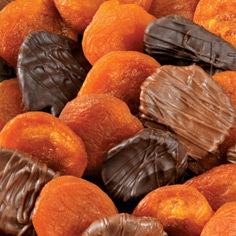 Gentle dried in small batches using the Meduri Method, our apricots retain their sweet, subtle flavor and delicate texture for your enjoyment. 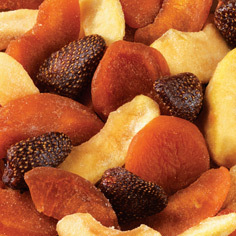 Our all-natural dried fruit is luscious, surprisingly moist, and always unsulphured. Certainly not the dried apricots to which you may be accustomed. This delectable snack in 6 Ounce Sampler Packs is full of vitamin A, iron and calcium. 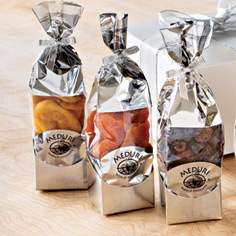 Enjoy the bounty of naturally-dried fruit from Meduri World Delights all year long, shop the entire fruit collection.